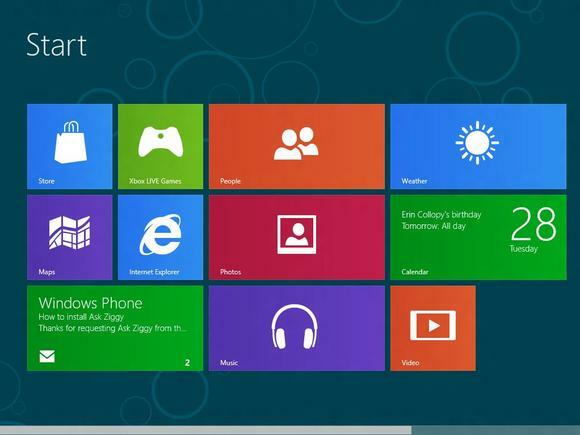 Microsoft announced today the availability of its Windows 8 Release Preview. The near-final build is offered in 14 different languages and is the final pre-release before the operating system is sent to manufacturing partners. The Preview includes Internet Explorer 10, support for Adobe Flash and new Windows 8 apps for connecting to Hotmail, SkyDrive and Messenger, among others. “Since our first preview release last September, millions of people now use the pre-release product on a daily basis and millions more have been taking it through its paces, totaling hundreds of millions of hours of testing,” the company wrote on its blog. “We genuinely appreciate the effort that so many have put into pre-release testing, and of course, we appreciate the feedback too. Direct feedback and feedback through usage contributed to hundreds of visible changes in the product and tens of thousands of under-the-hood changes.” Microsoft’s latest operating system is rumored to launch in October in three different versions, Windows 8, Windows 8 Pro and the ARM-friendly Windows RT. Full device encryption is now supported, so that the whole device and personal partition can be secure. Screenshots are now saved in lossless PNG format. Each Android app will now run in its own window. This greatly improves the user experience and consistency among the other application runtimes. Access to the Camera hardware is now supported for Android apps, allowing many more application types to work on the BlackBerry® PlayBook™ tablet. In-App Payment is now supported through the BlackBerry Payment SDK, so Android applications can include virtual items for sale in their applications. 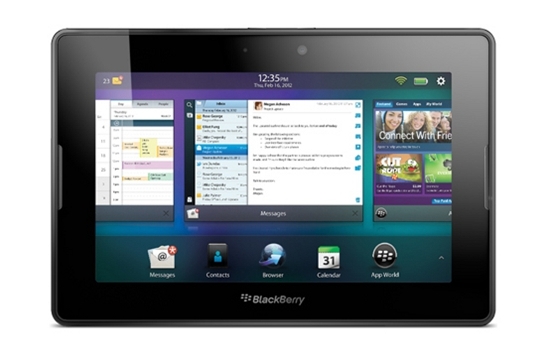 Just as before, you will need to register your BlackBerry PlayBook in order to download this release. Keep in mind, it is intended for BlackBerry developers and not really intended for end-users. If you can't handle dealing with some possible bugginess or are not a developer then you may wish to avoid even looking at loading this. As you know the TouchPad didn’t exactly sell as planned, mostly due to what many viewed as an unjustifiably high price tag on an OS that just didn’t catch fire. It did however skyrocket into fame once fire sales began to burn through inventory and it was found that Android could be installed on the tablet. While the new units are all gone, occasionally we see some refurbs out there still looking for a good home. Apparently woot! has gotten their hands on a lot, they are running a sale through their ‘hidden’ sister site, moofi. They are selling the 32GB HP Touchpad for $194.99. The unit is refurbished, but comes with a 90-day warranty from HP. That’s about $50 higher than the original sale pricing, but if you’re looking for a webOS device or just want to play around with running Linux or Android on it, this is probably your best bet. Get yours today by following the link, leave us a comment and let us know if you scored a HP Touchpad for $194.99. Already have a HP Touchpad? Leave us a comment and let us know what you like/dis-like about your HP Touchpad. Taking a break from issuing a new release of the company’s constantly improving namesake application, Evernote is launching Hello for Android today. Evernote Hello, which was previously exclusive to iPhone users, is an app designed to help make remembering those you meet easier than ever. We have all had one of those moments. A stranger approaches you at a party or business event talking as if they have been an acquaintance for years. The problem is, you don’t immediately recognize them despite realizing you have previously met them. Hello seeks to make this a thing of the past. The app not only allows you to enter a person into your phone and put a face to the name, but it also builds up the context of where and when you met, what you may have had in common, or even what they were wearing. New features include LinkedIn integration for building business relationships; the ability to comb call history, texts, and calendar events to predict who you are about to meet; and an email function that will send your contact info and a photo to new connections to better establish relationships. 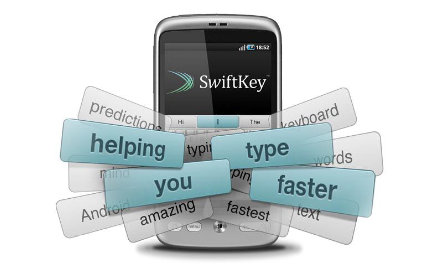 A new SwiftKey Beta, SwiftKey 3, has been released. It brings with it a nice number of changes and improvements, including improved suggestions, a better experience for Google Chrome Beta, improved gestures, and a whole lot more changes and fixes to sink your teeth into. Check out the full list below and download the beta. Remember that some things may not be stable, being a beta and all. Report any problems you’ve run into to SwiftKey or submit feedback by joining their VIP Community. Orange has just unveiled the UK's first Intel-powered Android smartphone, the San Diego. If you're wondering about specifications, we've got you covered. Here's what you'll find under the hood. Beginning on June 22nd, consumers in the United States will be able to purchase a new iPhone to be used alongside prepaid wireless service. Regional carrier Cricket, owned by Leap Wireless, will offer Apple’s iPhone 4S and iPhone 4 off contract alongside its $55 unlimited talk, text and data plan. Though labeled as unlimited, the plan includes 2.3GB of full-speed data, and speeds will be throttled once that threshold is reached. While the news marks the start of a new chapter for Apple’s current iPhone models, the high hardware cost compared to other prepaid smartphones may be a substantial barrier for many subscribers. Cricket plans to charge $399.99 for the 8GB iPhone 4 and $499.99 for the 16GB version of the iPhone 4S. Apple’s iPhone 3GS is seen as a much more compelling handset for prepaid carriers, which may soon begin offering the 3-year-old device for between $200 and $250 off contract. 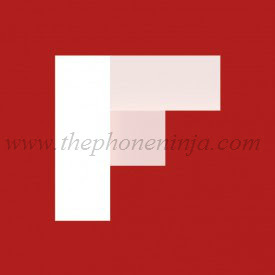 Flipboard for Android was launched as an exclusive for the Galaxy S III, but the software has made the rounds thanks to the folks at xda-developers. The original apk was leaked earlier this month and even received an OTA update. Today, Flipboard announced that an official beta version of the reader software is available for download. Users who signed up for the beta can wait for Flipboard to send them the download link, or they can grab the apk directly from Flipboard’s website. The app will eventually land in the Google Play store but for now, Android users can enjoy the beta version and find out what those iOS users have talked about for the past few years. If you choose to download from my link below, please leave a comment. 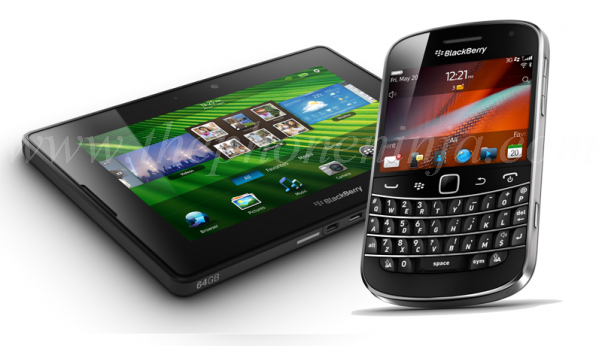 RIM’s stockpile of unsold BlackBerry phones and PlayBook tablets is growing as sales continue to struggle ahead of the fall 2012 release of BlackBerry 10. The total value of these devices sitting in RIM’s warehouses is over $1 billion, putting RIM in a tough spot when it comes to next quarter’s financials. The company has taken charges of $485 million and $267 million in December and March to write down the value of its PlayBook and BlackBerry inventories, and likely faces another significant write-down in June. While we won’t likely see a full $1 billion write-down in June, we also don’t see that inventory moving anywhere fast. People have simply stopped buying RIM devices, either holding off until the BlackBerry 10 platform is released later this year, or abandoning the platform altogether. RIM’s market share was down to only 6.7% in Q1 2012, according to the latest data from IDC. BlackBerry’s current stash of PlayBook and BlackBerry 7 devices will likely sit in RIM’s warehouses for a long time, as RIM’s carriers and retail partners are also sitting on significant amounts of inventory. In an effort to cut nearly $1 billion of costs at the ailing handset maker, RIM is cutting several manufacturing sites as well as 2,000 to 3,000 jobs, according to estimates from an analyst at Northern Securities Inc. in Toronto. Further job cuts are likely, according to a source for Business Week. It looks like the social networking giant has no limits on buying companies from sometime now. Facebook has already bought Karma, Instagram, and Lightbox, and now the word is that it is after one of the popular internet browser companies, Opera. 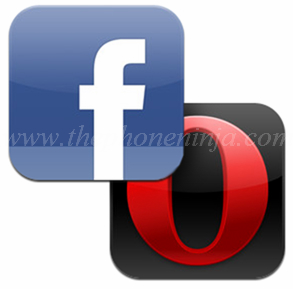 Yes, the rumor has it that Facebook is in talks with Opera Software to acquire the company in the hopes of getting down into the internet browser competition. Opera is a very well known internet browser application for all your devices, be it your desktop or laptop computer, your iPhone, your iPad, or your Android device, Opera is available for just every device you can think of. 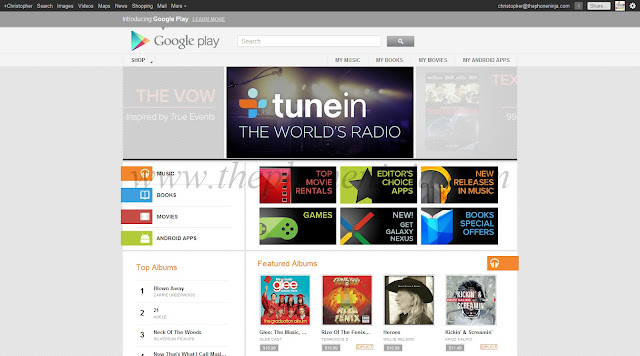 And the company has over 200 million users worldwide combined on all platforms. It would be better to start off with something in your hands rather than start from scratch in the development of an internet browser. This is what the social networking giant is thinking. It plans on competing with the already popular names in the business Firefox, Apple, Google, and Microsoft. Even though Microsoft’s Internet Explorer had been the leading internet browser in the world for a long time, it was recently taken down by Google’s Chrome, which is now the new favorite internet browser for the world. So even if Facebook buys Opera and comes out with a Facebook customized version of the internet browser, will it be possible for it to beat Chrome so easily? I do not really think so. And the browser would be completely customized for Facebook lovers, for example, we would have the Like button present on the browser itself so you would be able to ‘like’ just anything you see. And the friends’ like would be built into the browser so that you can always see who is online no matter which webpage you are in. Apple’s Chinese manufacturing partner Foxconn has reportedly begun accepting orders to build an Apple TV set, according to Chinese news website Sina. The publication’s sources claim the long rumored iTV is currently in the “trial production stage,” however more details were not given. Earlier this month Foxconn’s CEO denied that his company would soon begin manufacturing a television for Apple. 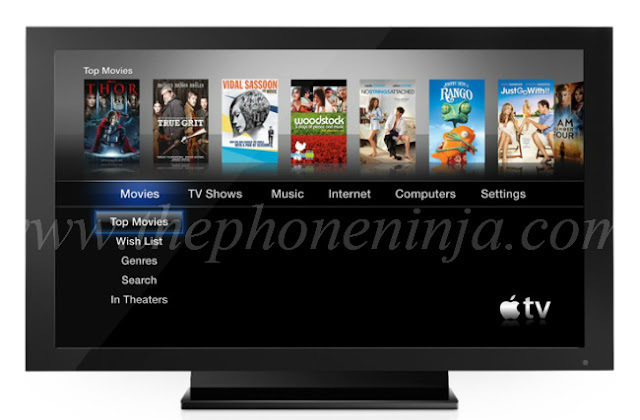 It has long been rumored that the Cupertino-based company was looking to enter the TV market with an HDTV that will reportedly look much like the company’s current LED Cinema Display. The device is said to feature an aluminum casing, iOS, Siri voice controls and an iSight camera for FaceTime video chats. 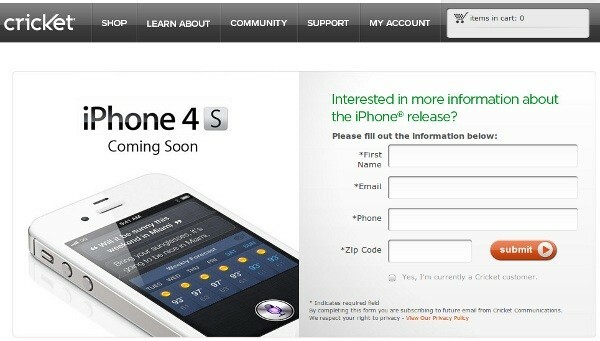 Earlier reports claim that the device would debut later this year, however some reports peg it to launch in 2014. David Beren of TmoNews just posted T-Mobile’s device roadmap for the next couple months. 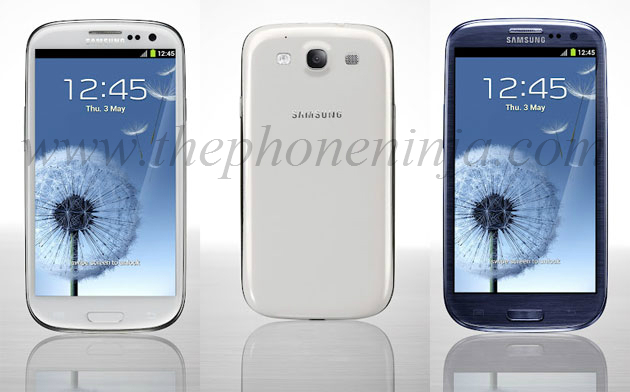 The Samsung Galaxy S III goes on sale in Europe next week, but when is the device coming to the US? His sources say the device could launch as soon as June 20th. Sprint might not have its 4G LTE network up and running to power your EVO 4G LTE, but it's already getting more headroom. The FCC has just tweaked the rules around the ESMR (Enhanced Specialized Mobile Radio) spectrum to let Sprint, and the considerably more regional SouthernLINC Wireless, run their CDMA voice calls and LTE data on the 800MHz band they're currently using for their soon-to-end iDEN networks. After a number of failed attempts in the Android tablet market, Dell is looking to readdress the tablet space with Windows 8. According to a leaked document obtained by Neowin, Dell will launch a 10.8-inch tablet with 1,366 x 768-pixel resolution and a dual-core Atom processor later this year. The slate will also be equipped with a fingerprint reader, an 8-megapixel rear camera, a 2-megapixel front-facing camera, Intel graphics, 2GB of RAM and a massive 128GB solid-state drive. Unlike many other tablets, Dell has included a removable battery that will come in two sizes. A smaller battery will get between six and eight hours of battery life, while a larger one will offer between 10 and 12 hours of usage per charge. 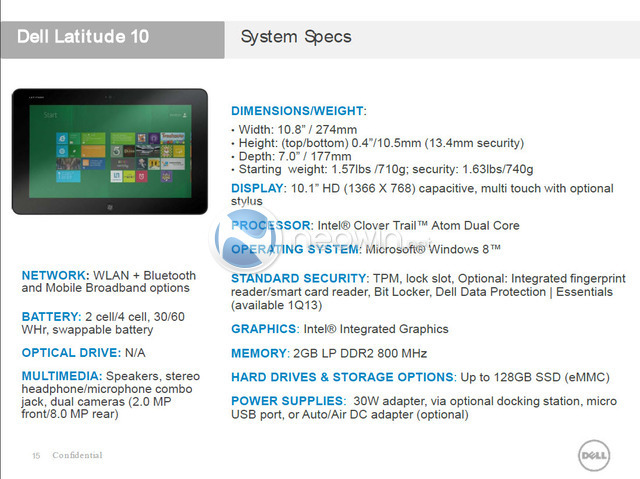 The tablet is rumored for a late fall launch, and no pricing details were reported. At one time the Enyo app framework was supposed to help webOS run faster and on a wider variety of devices, but as HP continues to struggle, reports have surfaced from The Verge and AllThingsD that much of the team behind it, including leader Matthew McNulty, has been hired away by Google. Numbering a half dozen or so, the immediate danger is the effect this might have on HP's efforts to open source webOS, but in a statement the company indicated it remains on track and will stick to the roadmap it announced in January. Less clear is what these employees might end up working on for Google, although Enyo's focus on web apps and HTML5 suggests the possibility they'll end up working on ChromeOS projects. Oovoo video chat service is making a run at Google Hangouts this week, launching a new Facebook application that allows 12-way video chats with users on iOS, Android, and PC clients. The company is also releasing a new iPad app that allows you to host or participate in a 12-way video chat, but you can't view more than four friends at once we're not sure if the iPad's screen size or bandwidth is the problem. Oovoo is also updating the PC, Android, and iPhone clients with a new UI: the PC client gets the biggest changes, but smartphone users will notice some less dramatic interface tweaks. The updates are free and available now, as is the new Facebook app. As you know It’s been quite a while since we heard about BlackBerry Messenger on Android. The last we heard was that a test app from RIM was over in development over a year ago, and though RIM has grown closer to Android through its Playbook tablet, still no official BlackBerry Messenger App for Android. 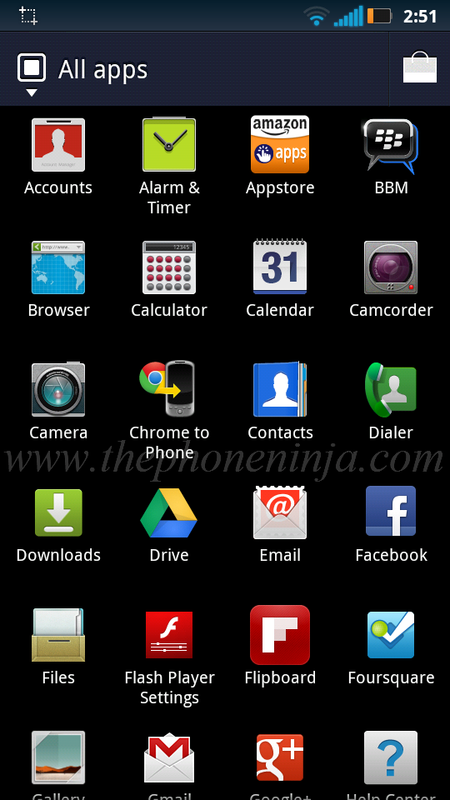 Well the wait is finally over, We here at "The Phone Ninja" have successful installed and set-up BlackBerry Messenger on our Sprint Motorola Photon 4G device, running beta software of Android 2.3.5 (see the above image). It's not working great, however besides the occasional "force close" its not working to bad. I do have the APK, but don't want to post it until I can work out the kinks. Please feel free to comment below. It appears that Facebook has taken the time to create their own independent photo application not unlike what they’ve worked on for Android just weeks ago. This application will be rolling out to fans across the earth soon with quite a few features extremely similar to what users of Instagram are already used to using. What you won’t be getting here is shares within the app only and sharing with other social networks all at once, this is purely a Facebook thing. This application will be working to enhance the Facebook experience with full-screen displays of photos, easy to use interfaces, and in-app photos. Though past versions of Facebook have had inline photo-taking abilities, this version is able also to have you sharing multiple photos at once and is working with your already-taken photos with ease as well. This application also works with a whole new set of aesthetics you’ve perhaps had a glimpse of when the Android version was released. This version will be popping up on the iTunes app store today and is currently sitting in iTunes Preview for you to gawk at until its launch for your area. Those of you who picked up an HTC EVO View 4G (Sprint) or HTC Jetstream (AT&T) tablet over the last few months. These two, along with the HTC Flyer, will not be seeing an official Android 4.0 update from the manufacturer. Considering we've not run into more than a couple folks who actually own one of these three we suspect that this doesn't affect too many of you. 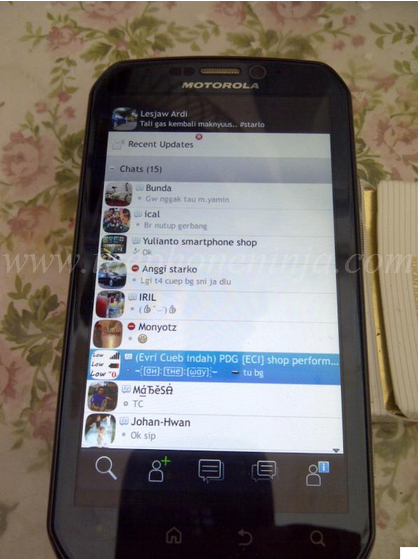 Nevertheless, you'll have to go with some rooting and modding if you want to load Ice Cream Sandwich on your device. 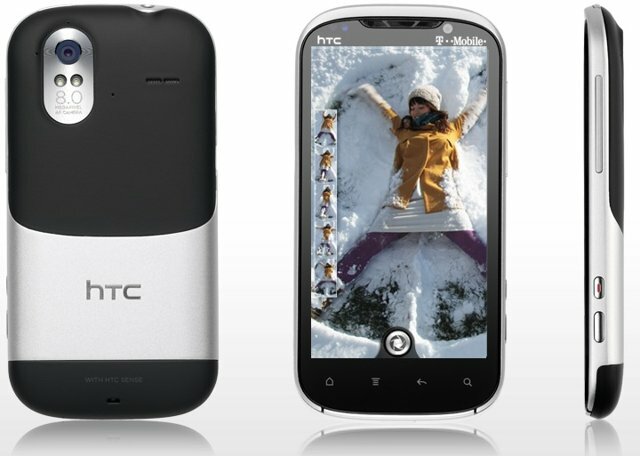 Although HTC won't bring Android 4.0 to the trio, it's not to say they won't keep supporting them with updates. Should you have one of these tablets, you'll find your Honeycomb experience may get better with time. Upgrades are not the same thing as ongoing support. Devices not being upgraded to Android 4.0 will still get software improvements, security fixes, and technical support as needed. Many of us rely on BBM to perform our daily tasks. From teenagers to security professionals, RIM’s very famous messaging client has been a very important way of communicating with others. But as RIM’s stock went down a while back with the 3 day outage, some of its users moved to other platforms and so the number of BBM users decreased. Some worry that the popularity of the popular messaging tool will fade away. "Executives came up with a specific BBM strategy that aimed to open up RIM’s proprietary network to other smartphone markers and carriers and license BBM as a service that could be used on a wide variety of devices including iPhones and Android phones, according to these people. The project was unofficially called “SMS 2.0″ within the company, these people said." While some people within the company said this could be a good idea that would drive more users into BlackBerry and help make the company stay relevant, others thought this might encourage BlackBerry users to move on to another platform. There haven’t been more news on this project since. We do know that BlackBerry Messenger is still part of their plans since they have already said BBM will be in the upcoming BB10 platform, and the new BlackBerry Curve 9320 and 9220 have their own BBM dedicated key, but we don’t know what RIM holds for BBM’s future. What would you like to see next in BBM? While addressing shareholders at the company’s annual meeting in Cologne, Germany, Deutsche Telekom CEO Rene Obermann told investors that a complete takeover of T-Mobile USA was out of the question after AT&T’s very public failed bid last year. Obermann did tell investors that it was considering all other options, including a potential merger of its T-Mobile USA business unit with another organization. There are several options on the table in such a scenario; Sprint has had its eye on T-Mobile USA for a while, and a combined company would present a large competitor to AT&T and Verizon. Such a scenario is unlikely, however, as the technology these companies employ is so different that it would be extremely costly to make the networks compatible. The more likely potential suitor is MetroPCS, as recent rumors have suggested that the two companies are actively speaking about a possible merger. Bloomberg reported a few weeks back that the company was essentially looking to do a joint venture with MetroPCS, with Deutsche Telekom holding the majority stake of the combined company. The deal could be similar to the Everything Everywhere carrier in the UK, a joint venture between T-Mobile and Orange. Deutsche Telekom is also considering a network sharing agreement with MetroPCS or Sprint, which would have the companies sharing spectrum but maintaining their current status as standalone organizations. Meanwhile, it’s business as usual for T-Mobile USA. The company is beginning to actively build out an LTE network over the next two years. Time will tell the fate of T-Mobile USA, though the message from Deutsche Telekom is still crystal clear. A hot new rumor just hit the internet which suggests we'll be celebrating Android's fifth birthday in a major way this November. According to a trusted TalkAndroid source, we'll be getting five Pure Android/Nexus devices come November 5th. It's not clear whether this means an announcement or actual release however we wouldn't care either way. We're all for multiple hardware makers getting involved with the Nexus project and this new rumor does little to temper our enthusiasm. While we must maintain that this is nowhere near confirmed we can't help but wonder which five we might see. We'd love to hear from you guys on this one. If you could pick the top five Android companies for a Nexus device, what would they be? Sound off in the comments below. After the resignation of its CEO and later its founder in the wake a personal conduct probe, numerous store shutdowns, and a $1.7 billion quarterly loss, Best Buy is trying to draw people back to its stores. On an earnings call today, interim CEO Mike Mikan gave a candid assessment of what he saw as the flaws that have left Best Buy struggling against online retailers like Amazon. "Not that long ago," he said, "Best Buy was the authority in this market. Our stores wowed consumers... Best Buy provided a unique customer experience that gave us a clear edge over competitors. Not anymore." The company, he said, was unprepared for a market where information and products were easily available online, and now "Best Buy is not performing up to its past standards." One of the biggest changes, Mikan says, will be with its employees. "We need to raise the bar for everyone, from the Blue Shirts to Geek Squad to those at the very top of the company, including myself." That means "better trained, better equipped team members" who can lure customers off the web. They'll also need to be able to speak knowledgeably about the tech that they're selling. "We expect the Blue Shirts and Geek Squad agents who will staff those stores will speak with authority about technology. Their mandate will be to shift the customer expectation from repair, our traditional Geek Squad offering, to one of relationship." It's a common sense idea, but it's also probably easier said than done on a large scale. More immediately, he also said Best Buy could use analytics to figure out what customers want to buy and maintain a stronger relationship. Best Buy has already closed down fifty storefronts, but Mikan noticeably did not mention any more shutdowns, focusing instead on plans to make stores smaller and more targeted. All these plans, however, seem very much in the air right now. "We do not have all the answers today," he said, noting that Best Buy would be drawing up a multi-year blueprint later. "Make no mistake: we will reclaim that place of authority." A jury on Wednesday decided that Google did not infringe on two of Oracle’s patents. Google may not have infringed on patents, but the jury which has now been sent home for good said Google did infringe on Oracle’s copyrights. According to The Verge, which has followed the case closely from the courtroom, the ruling jury found that Android infringed on “Oracle copyrights by its use of the structure, sequence and organization of 37 Java APIs.” The jury, however, could not reach a verdict in regards to whether or not those features of Android were safe for fair use. Google was also found to have infringed on part of Oracle’s range Check code and eight Java files that it uses in Android. Judge William Alsup needs to rule on whether or not Oracle can actually copyright parts of its Java APIs. If Aslup decides that Oracle, in fact, cannot copyright that material, then Google will only be responsible for paying damages for copyright infringement on rangeCheck. Otherwise, Google could be required to pay damages for three different copyright infringement charges. It’s unknown when Aslup will make his final decision but Oracle and Google will be speaking with him today. Google could pay up to $150,00 per count in damages if Aslup rules in Oracle’s favor. You can’t currently start a FaceTime video chat from an iPad, iPod touch or iPhone using a 3G network; Apple still requires that users are logged in to a Wi-Fi network, likely to make sure that a minimum level of video quality can be guaranteed. A new warning message inside iOS 5.1.1, discovered by iDevice recently, suggests that 3G FaceTime support will be enabled in the future, however. A similar message also pops up when a user tries to enable 3G during a Wi-Fi call, AppleInsider discovered. “Enabling 3G will end your phone call. Are you sure you want to enable 3G,” the warning message states. Oddly, selecting either option never ended AppleInsider’s test FaceTime calls. You just can’t place a call if you’re only on a 3G network. Wireless carriers reportedly asked Apple to disable support for 3G video calls, likely to prevent bandwidth hogging, and only jailbroken phones are capable of executing the feature. It’s possible Apple and wireless carriers will enable the function when a 4G LTE-enabled iPhone is released, or perhaps 3G support will be activated sooner. If you’re looking to enjoy Wi-Fi access wherever you go, it looks like that may become more of a reality in the near future if you subscribe to the right provider. Bright House Networks, Cablevision, Comcast, Cox Communications and Time Warner Cable have announced that a new coalition has been formed between the five companies that will be called “CableWiFi.” If you subscribe to any of these providers you will soon be able to enjoy using over 50,000 company owned Wi-Fi hotspots through out the nation. The first coverage areas will include New York City and the surrounding area, Los Angeles, Tampa, Orlando and Philadelphia with more cities expected in the future. You’ll be able to find where the hotspots are located by visiting your providers hotspot locator or going to CableWiFi.com. While this is certainly not an end-game solution that will allow you to dump your mobile data on your phone, it definitely raises some interesting questions for the future. Could the U.S. finally get to a point where you could wander from one Wi-Fi hotspot to another and no longer worry about the speeds of your mobile data or your bandwidth camp? It's tough being the new kid in town ask Voyager Mobile, an up and coming MVNO that had its launch delayed by a "malicious network attack" last week. The tenacious firm may have missed its planned May 15th launch, but managed to pull things together in time for the weekend, piggybacking unlimited talk, text and data off of Sprint's CDMA and WiMAX network for $40 a month. A basic unlimited voice plan is also available to the tune of $20, without data allowances, of course. Phones are available too, albeit without subsidies Samsung's Epic 4G Touch or Galaxy S II will each set you back $550, though an assortment of more affordable devices can be had from $120 and up. Check out the official Voyager Mobile website. Motorola today filed paperwork with the U.S. Securities and Exchange Commission indicating that it expects to conclude its sale to Google by Wednesday, May 23. "As the transaction has now received all required regulatory approvals, the companies are moving to close the transaction within two business days," said Motorola. Chinese anti-trust regulators approved the deal over the weekend, though Google had to agree to keep Android open for five years as a condition of winning approval. The deal already has the approval U.S. and European government bodies. Google agreed last August to acquire Motorola for $12.5 billion. Along with Motorola's smartphone and cable box businesses, Google will also acquire some 17,000 patents. Google has announced a series of expansions to carrier billing options for Play Store Apps, Movies, Books, and Music on various carriers. While some changes went into effect immediately, Sprint, which already allowed direct billing for apps, was one carrier that was listed as "coming soon." Previously, only apps were supported. After Motorola updated their Android 4.0 upgrade timeline, many users were left wondering why Motorola had no plans to release the new software version for select handsets that haven’t even reach the one year anniversary of their release. Motorola seemed committed to providing updates for as many handsets as possible, but now has issued a statement explaining some of their rationale behind withholding Ice Cream Sandwich from some. Simply put, if the new version of Android doesn’t offer an improved device experience, Motorola has no plans to issue an update. Though it may not please all users, the move is probably for the best. A smartphone with hardware that can’t adequately handle new software will offer a poor user experience. It isn’t what most users want to hear, but with only so many resources available to dedicate to developing device upgrades it works out better for everyone. Some will argue that independent developers often produce builds of new Android software that will run on older phones, but the level of performance and stability simply doesn’t meet what Motorola, the carriers, and even Google would consider a retail-ready experience.